Counting, magic sticks are a great way to help your children learn to recognise numbers and memorise number sequences. You can use a meter stick or a brush pole and attach the numbers with blue tack or Velcro patches. Used effectively a magic stick is a great resource. Start by familiarising your child with the numbers explaining that each time you are adding, multiplying or subtracting . Then when your child has a good understanding remove some numbers from the stick. This will help identify how well your child knows the desired outcome. 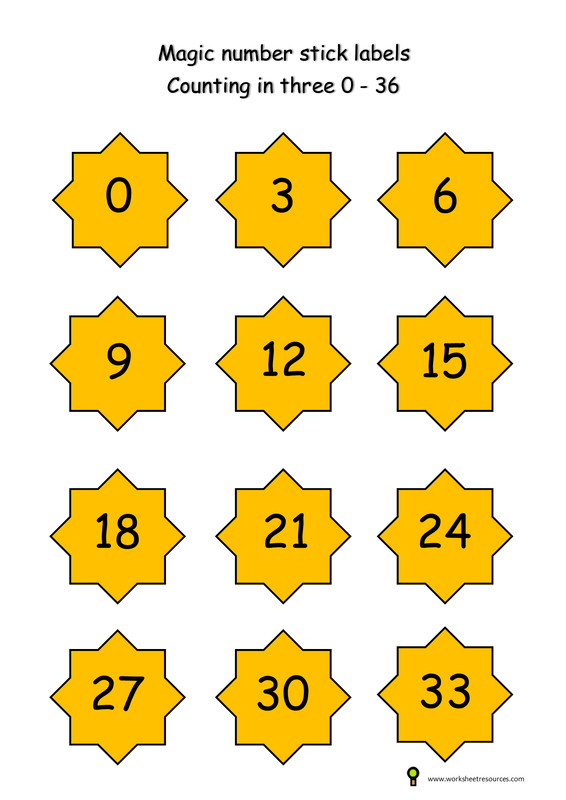 For example place 10, 20,(remove 30) 40, 50 (remove 60) . Ask your child say the numbers out loud as you point to the numbers on the magic, counting stick. Remember to count backwards . Reciting numbers backward is a skill and will help your child understanding and ability to subtract numbers. Print, cut and laminate the free magic stick resources and here you can find Velcro dots and a pack of six meter sticks that are ideal for your classroom or homeschooling. When using a metre stick you can double up and prepare both sides of the stick for example, counting in fives and then flip over to count in tens. Magic sticks are a great warm up activity for the whole class or a intervention group for consolidating skip counting skills and reciting times tables . Magic counting stick counting in fives . Printable resources for year 1, 2, and 3 ks1 counting and ks2 counting resources.